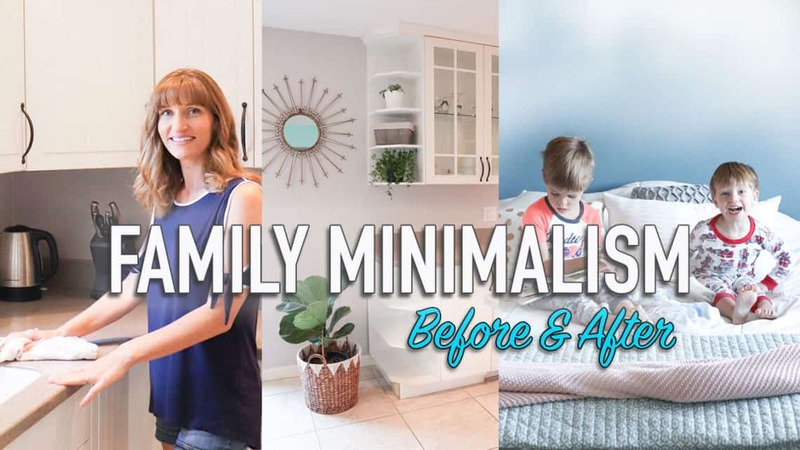 Today I am discussing some tips and tricks that have helped me to be a minimalist with a family and become more minimal as a family of 4. When I first heard about minimalism and started researching the topic I wasn’t able to find much about family minimalism. The minimalists I saw were single people living out of a backpack, or living in a tiny home. 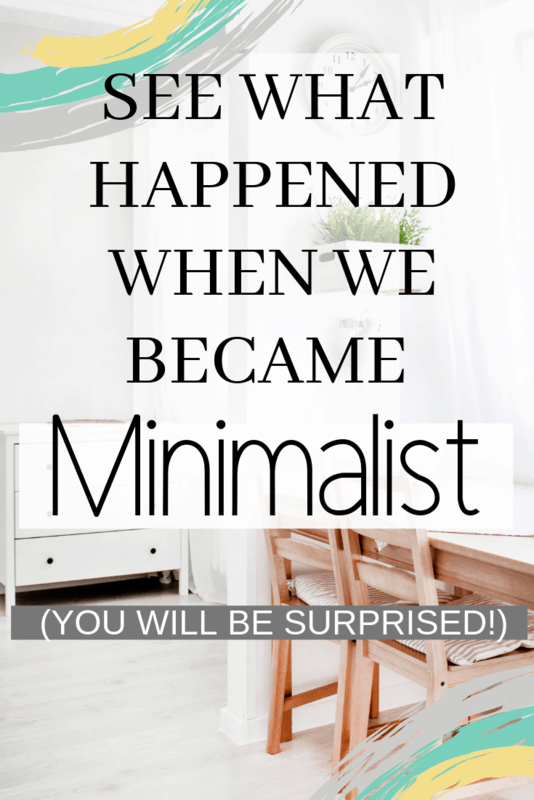 While I love to learn about different lifestyles I knew that this type of minimalism didn’t apply to us. In the last year of decluttering I learned a lot of tips and tricks that have helped us minimize our belongings and enjoy living with less. Here is what minimalism is looking like at our home. We had to make our own set of rules and decide what would work for our family. We adopted a capsule wardrobe for everyone. This solves a lot of problems. You have less clothes to wash and take care of. The capsule wardrobe makes it easier to pick out an outfit. There is less time being wasted in the morning because you know everything will look great and it all fits. I know a lot of people think you have to do more laundry, but this isn’t true. You can combine all the clothes (of like color) together and usually I am only doing one load every other day. Having less clothing means there are fewer items to take care of and worry about losing or having to organize. 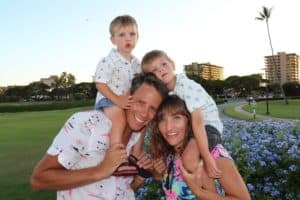 By changing our wardrobes seasonally we only have what we need each season and my kids aren’t wearing jackets in the middle of summer or shorts in winter. Each of us have a memory box or book. What is a memory box? This is just a box where you store things that you want to save for the future, but you don’t use these items daily. So my memory box is filled with photos and items from when I was younger. Before we became minimal I had many boxes! Now I have limited the amount of items I can save because it must fit into the box or book. My kids only have memory books at this point, but as they get older they will each get a box. The great thing about having one box is you have to decide what is truly important. If the items can’t fit into the box I don’t keep them. 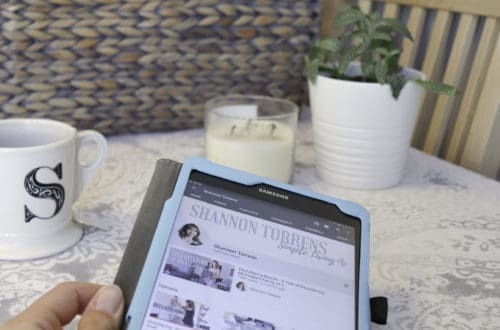 Before we started this decluttering journey I use to shop for the future. Do you do this? This happens when you are out shopping, even though you don’t really need anything, and you say to yourself I will get this for next year. When my now 5 year old was first born, this was how I shopped, with my mind always on the future. I would buy games for when he would be 4 even though he was only 2! Always shopping for the next event or the next season. When these future moments arrived, I realized 9 times out of 10 the items I had stored for the future weren’t anything I wanted. The clothing items didn’t even fit half the time or the season was completely wrong by the time they did fit. I know half the time when I was buying for the future, it was out of boredom or an excuse to be busy. When it came down to it, we really didn’t need these items. Now I only shop when I need something “now”. For instance I need a bathmat so I went out today and just got a bathmat. Yes I saw so many cute things, but I passed them all by because I know there will always be something, and I would rather have the space in my home and the money in my bank. Paper clutter with kids can really add up! When my 4 year old started going to preschool he would come home with 3 or 4 projects everyday. If I were to save every project there wouldn’t be enough room in our house. I now keep these projects for a short time and we hang the really nice ones on the fridge. Once we get new projects to replace the older ones we recycle the old ones. If there is a project that stands out to me I will save it. The saved project will go into his memory box or book and then he can decide if he wants to keep it for when he is older. This system has been working really well to cut down on the amount of paper clutter. Recently I have started to simplify food. This mostly applies to my children, who are currently 5 years old and 2.5 years old. Over time with trial and error I have found a few healthy meals that they really like. Instead of making a lot of different types of food with a lot of ingredients I have realized they are happier with the simple meals they know and love. Of course once in a while we make something new and we expect them to try it, but by simplifying the food routine it has made my life a lot easier. I have also noticed by making things they like, and will actually eat, a lot less goes to waste. I use to stress myself out trying to make the perfect balanced meal for my kids with every meal, and I realized half of it went in the trash. Now I focus on making sure the day of food is balanced and not necessarily every single meal. The pediatrician told me that I should look at what my kids are eating in a whole week rather than each day or each meal. She pointed out that there might be a day with no veggies, but the next day might be full of fruit and veggies. Knowing this simple tip really helped take the pressure off of me. The biggest change since becoming minimal is how many toys we have and where we keep them. We use to have toys throughout our entire house, which made cleaning up a real process. This also made the whole house look like a preschool. Now we store all of our toys in the boys shared room. All of the toys are considered family toys and are shared, this also made it easier to clean up. I am no longer separating toys into different rooms, they all go in one place. If we had a play room, I would prefer to keep them there, but we don’t. We store all of the toys in bins sorted by category. All the animals are in one bin and all of the cars are in another bin. 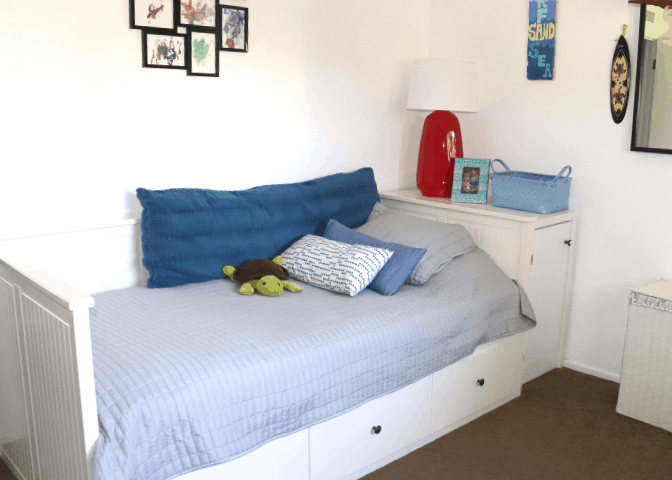 This makes it easy for the boys to put their own toys away and keep everything neat and tidy. By minimizing the amount of toys we have it has cut down on the amount of clean up time, and the boys have become way more creative when they play. Down stairs near our dinning room table is where we store games and art projects. 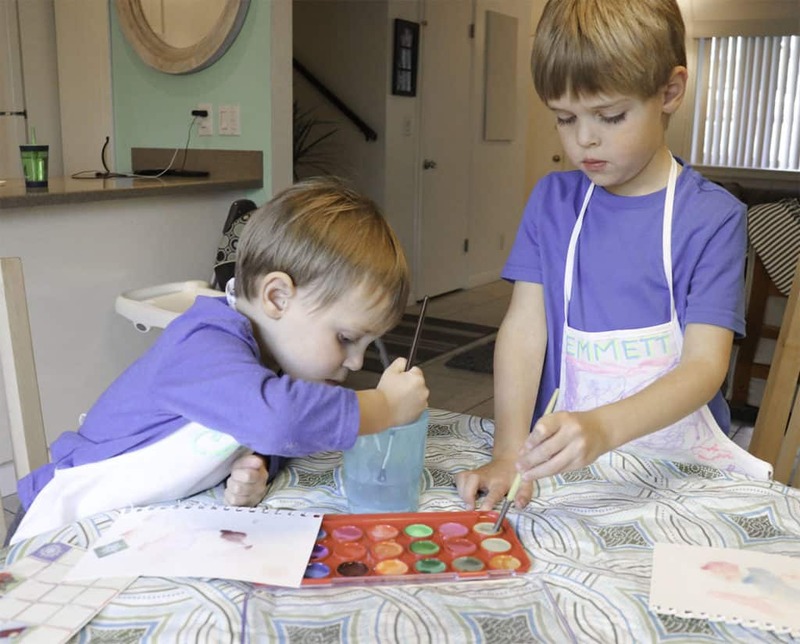 We do this because most art projects need an adult involved and most games are played at the table as a family. I have made it as simple as possible for my children to get dressed themselves. 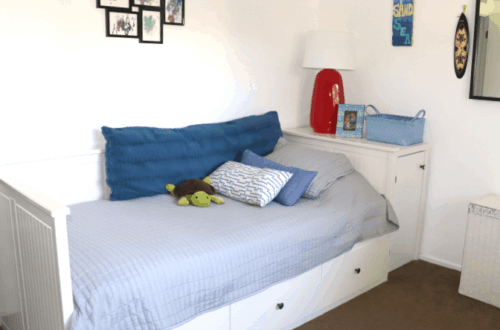 All of the clothes are separated into bins and stored in low drawers. I encourage them to pick out their clothes and get dressed themselves. 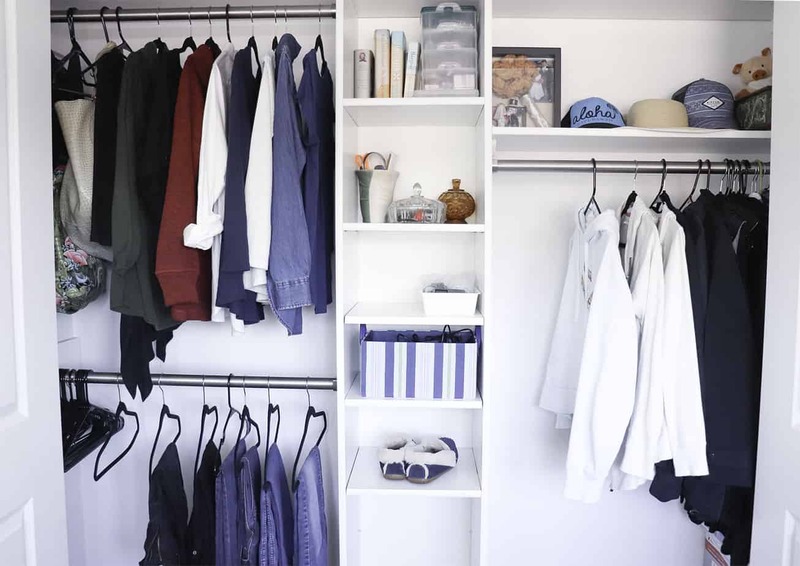 By having the clothes separated by category it is easy for them to find what they are looking for and get dressed quickly. 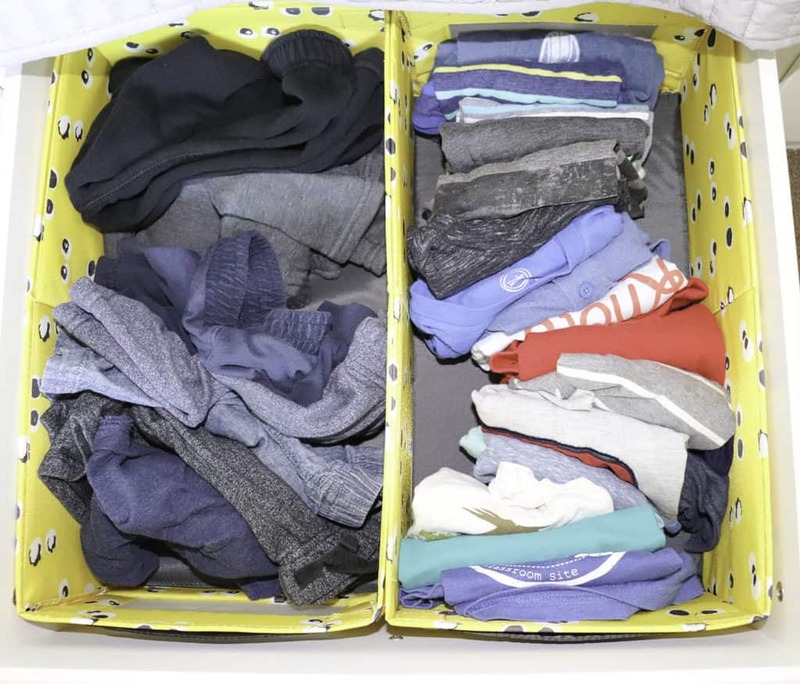 The bins also help with clean up and putting clothes away. I know my youngest is only 2, but I always encourage him to help me put his clothes away. It is never too early to start learning how to take care of your stuff. When it comes to birthdays the biggest change has been personal. Because of minimalism I don’t feel the pressure to get my kids a ton of gifts or make a pinterest perfect party. I love going to parties and throwing parties, but I only do that now if I feel like it. I know now my children are just as happy having one thoughtful gift, a fun filled day and some cake. The pressure of a birthday party was something I was putting on myself. Lately we have been having a small family party at home and a fun day out. 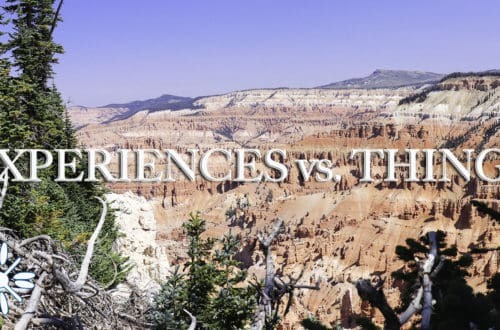 I am choosing experiences over things. There is a lot less to clean up for me. It is a lot easier to keep everything organized and put away. My house feels like a cozy home now! We now spend more time traveling, having fun, and getting out and experiencing life.